Having the right product selection for your hotel pantry is key to making sure your guests are satisfied while improving your bottom line. With limited real estate in your pantry area, you need to be confident that you are getting the greatest return for your investment. 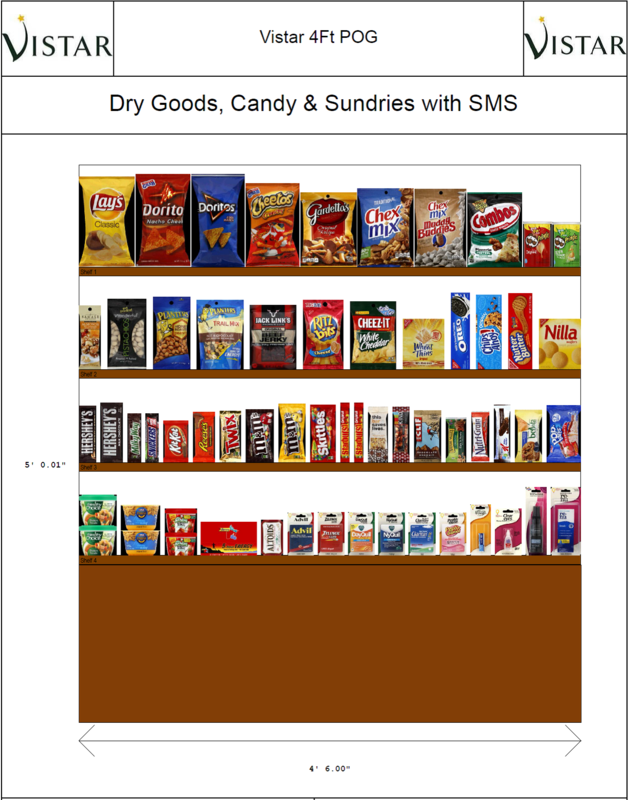 Let Vistar, the nation’s leading candy, snack, and beverage distributor to the hospitality industry, assist you with shelf management and plan-o-gram services. Our teams have partnered with leading manufacturers to ensure we are up to date on sales insights, consumer trends, and the latest product innovations. We can help you take the guess work out of understanding Better-For-You trends and can even make sure that you have everything you need for your respective brand standards. In addition to making sure you have the right products, Vistar also offers shelf management systems to keep your pantry neat, organized, and easy to shop. Having a complete shelf management system is a great way to increase sales. Give us a call if TODAY to find out more about our shelf management and plan-o-gram services.